Thermoguard Wallcoat is an intumescent undercoat for application to previously painted plaster, Artex, board, brick and concrete walls and ceilings. 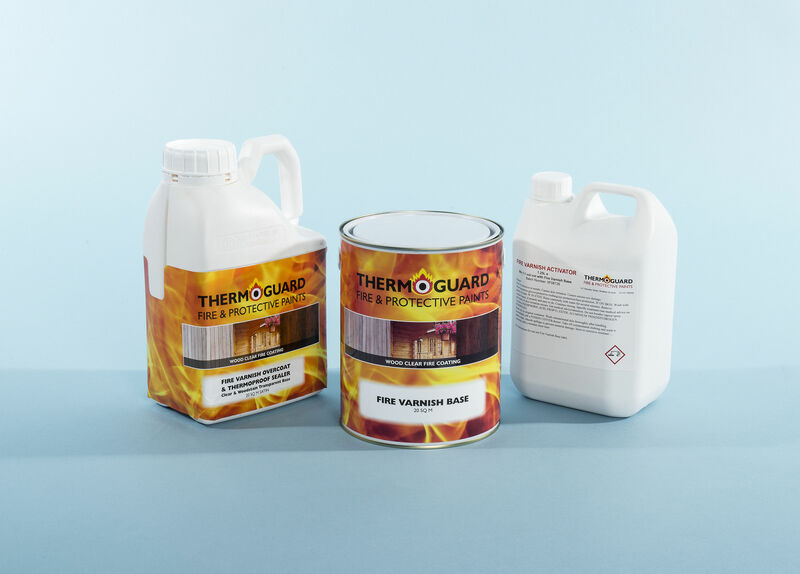 Overcoated with Thermoguard flame retardent paint it insulates old paint films from fire controlling the spread of flames along walls and ceilings. 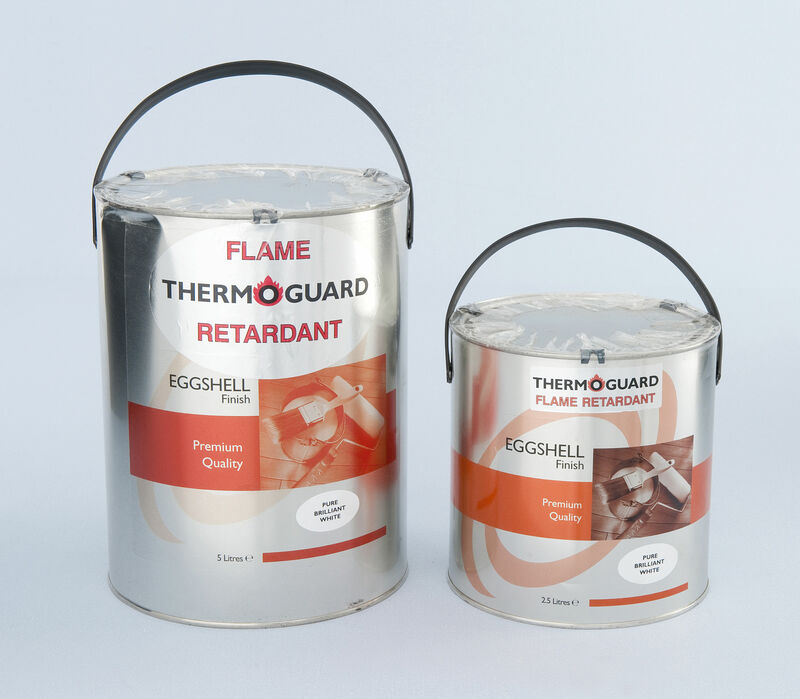 When exposed to a fire Thermoguard flame retardent paint releases a flame extiguishing gas which instantly protects the surface. Simul­ta­ne­ously heat activates Thermoguard Wallcoat underneath causing it to expand and create a fire protective barrir insulating old paint films from heat and oxygen. Available in 25 & 100 sq m tins.